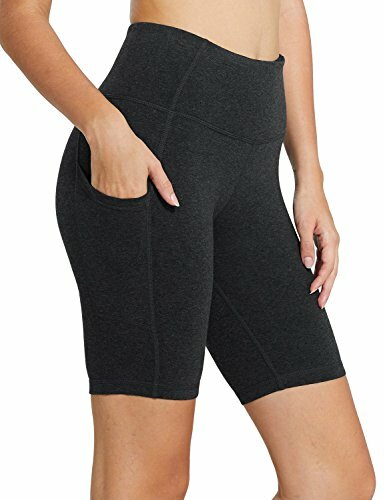 Designed to assist you move and stretch with ease, Baleaf Women's High Waist Yoga Shorts feature a high, slip-free, tummy-flattening waistband and chafe-free flatlock joint. 8" inseam is long enough to avoid riding up or down and keep thighs from rubbing. Side Pockets are perfect for your phone or keys. 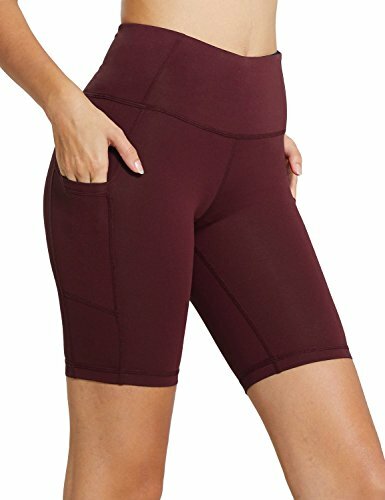 Stay comfy and relaxed throughout any time of the day with the Baleaf High Waist Yoga Shorts.